I've been re-reading the Kirby Fourth World Omnibus books lately. Reading the early issues of the New Gods, Mister Miracle and Jimmy Olsen are a trip...each issue introduces something unique and fresh. Mister Miracle was my favorite of that DC era...when Kirby introduced Big Barda to the series it just made everything better. 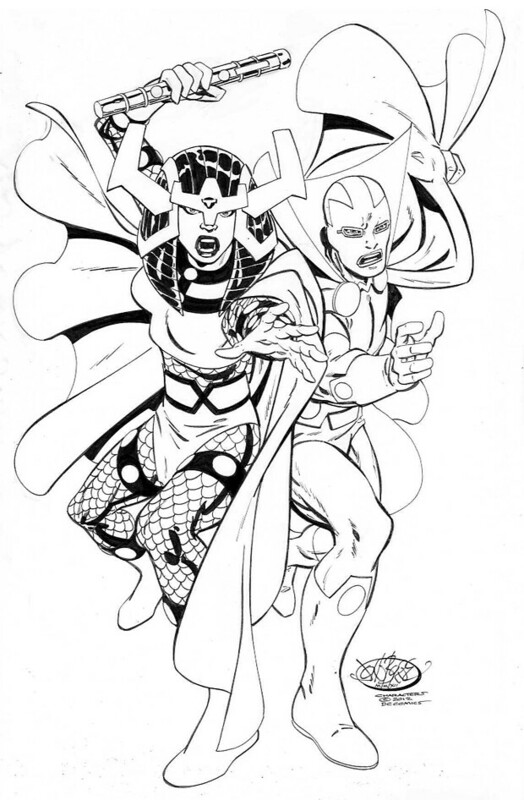 Mister Miracle and Big Barda: John Byrne does a great job drawing the Kirby characters. This is a 2012 commission. 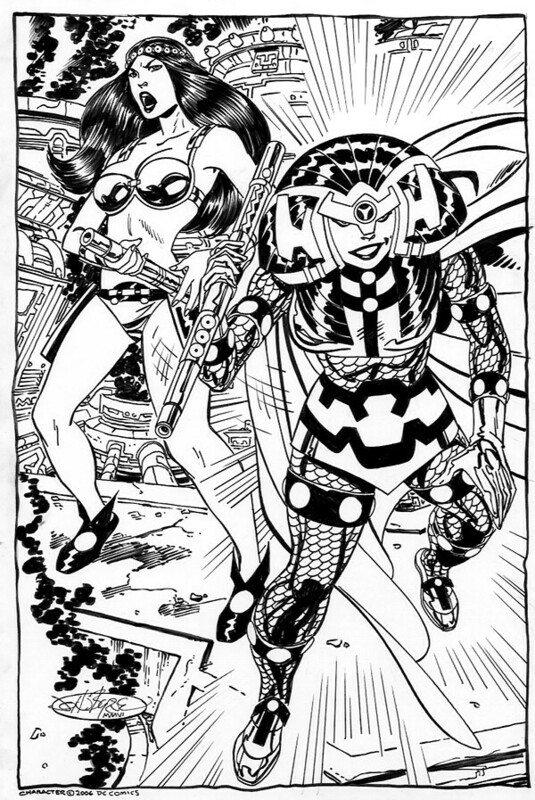 Big Barda of the Female Furries, this one was drawn in 2006. Nuff Said! Byrne's Jack Kirby's Fourth World was excellent. I sometimes stumble across a Byrne book from back in the day that I never knew he did....always makes me happy.